From catching leprechauns to making rainbows you won’t want to miss our collection of St Patrick’s Day activities for toddlers. 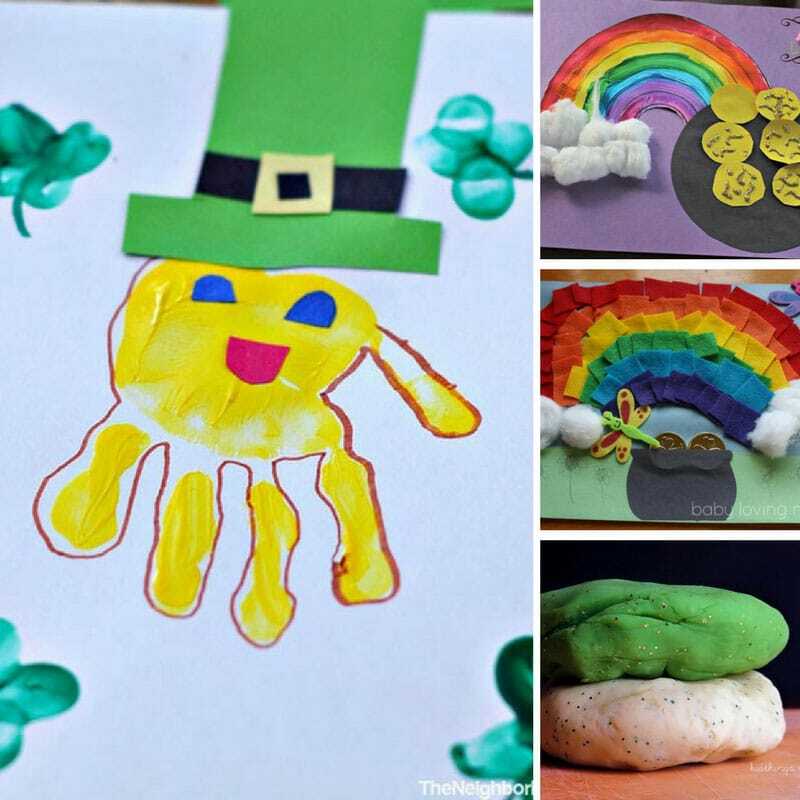 Whether your little one wants to catch a leprechaun or make themselves a rainbow you won’t want to miss our collection of St Patrick’s Day >activities for toddlers. I think number 10 might just be my favourite! 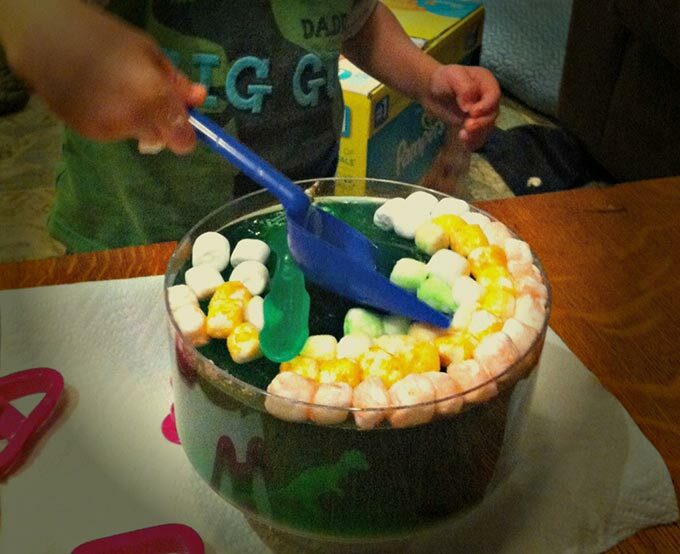 St. Patrick’s Day Jello Pot of Gold Sensory Activity – Mommy’s Bundle – This looks like a fun messy play activity for St Patrick’s Day, it needs some advance preparation but looks like it’s worth it! 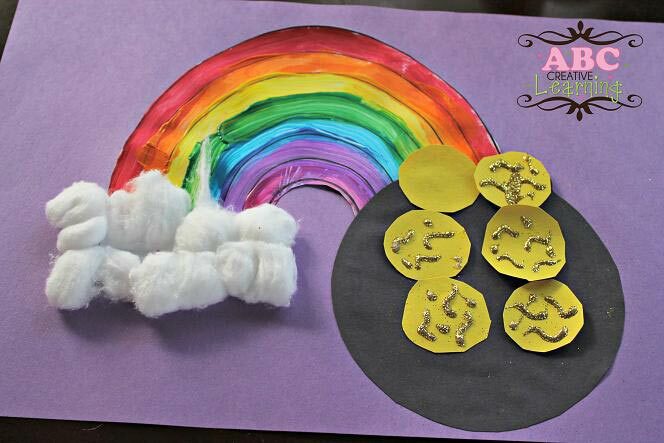 Pot ‘O Gold Rainbow Craft – ABC Creative Learning – Oh and here’s a rainbow with a pot of gold at the end. I love the cotton wool clouds! 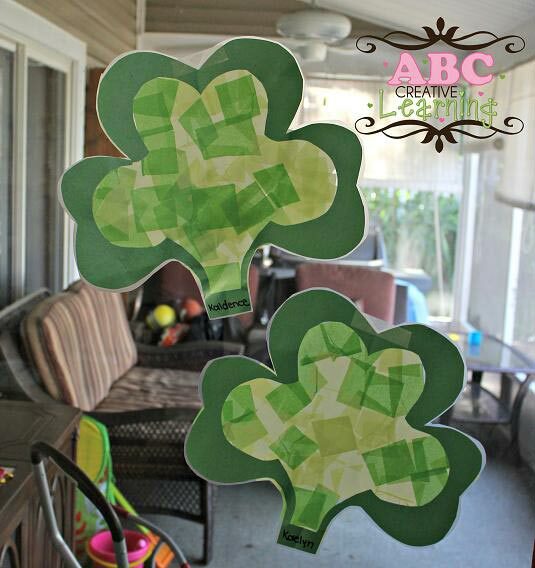 Shamrock Suncatchers Kids Craft – ABC Creative Learning – I am loving these shamrock suncatchers! So easy to do so they’re perfect for toddlers who like to play with stickers. 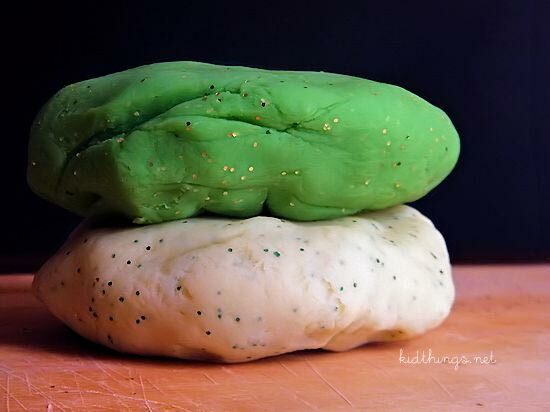 St. Patrick’s Day Glitter Play Dough – Kid Things – Time for some sparkly creative play, thanks to this fabulous glitterly play dough recipe! 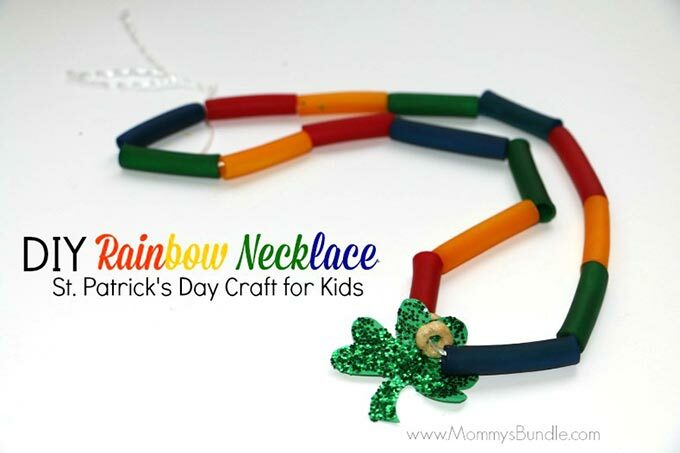 DIY Rainbow Necklace for St. Patrick’s Day – Mommy’s Bundle – Now how about some threading practice? My kiddos play for hours with dried pasta tubes, I think this necklace craft would be perfect for them! 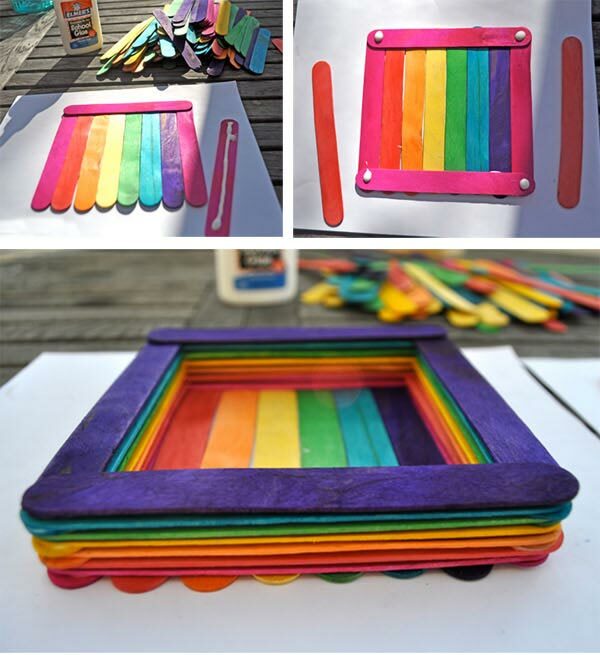 Make your own rainbow leprechaun trap – Club Chica Circle – Oh this looks like a lot of fun, plenty of practice for gluing and sticking, and then you get to try and catch a leprechaun! 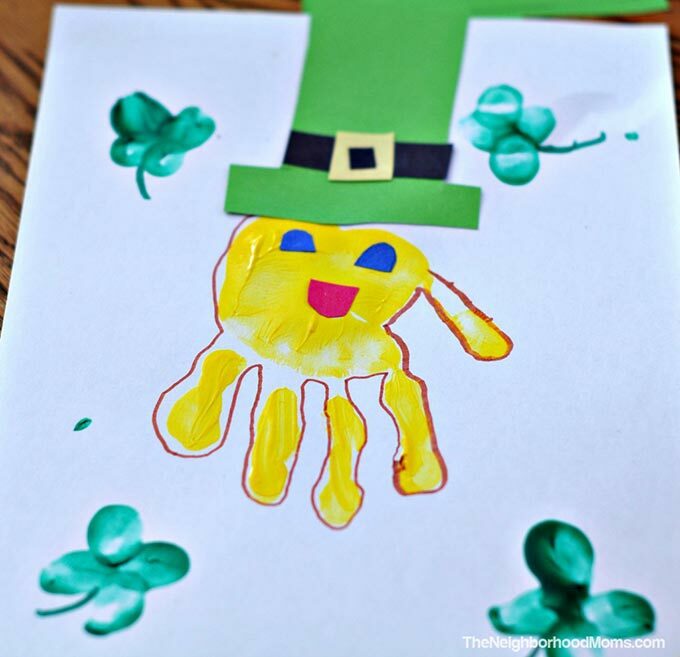 Leprechaun Handprints – The Neighborhood Moms – How adorable is this little leprechaun? You can’t celebrate any kind of Holiday without a craft involving hand prints! 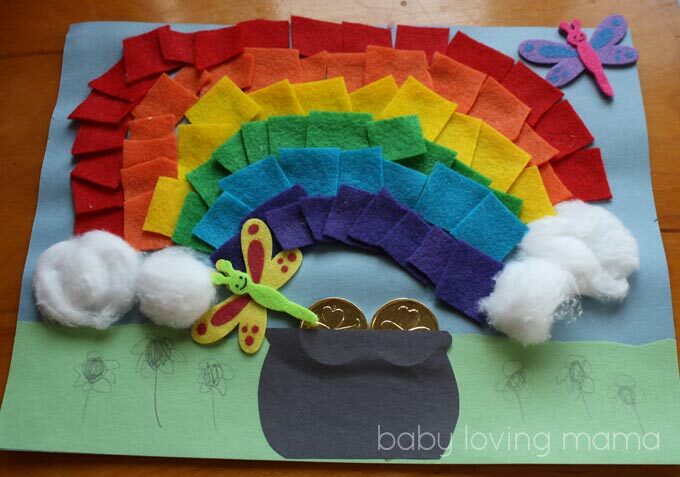 Felt Rainbow with a Pot of Gold: A St. Patrick’s Day Craft Tutorial – Baby Loving Mama – This felt rainbow is beautiful, and the great thing about this craft is it can be tailored to the age of your child, so it’s perfect for toddlers to enjoy alongside older siblings. 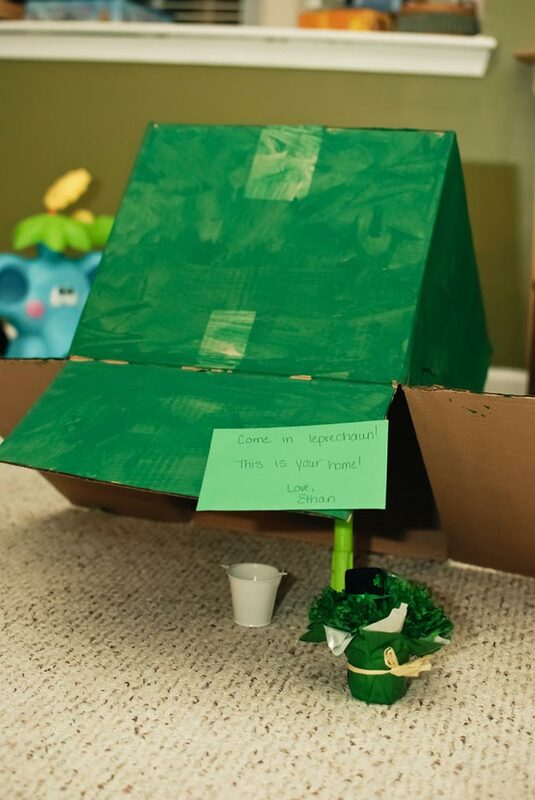 How to Catch a Leprechaun – A Grande Life – Oh here’s a leprechaun trap on a much grander scale! Lots of fun to be had here painting the cardboard box and laying out the trap! 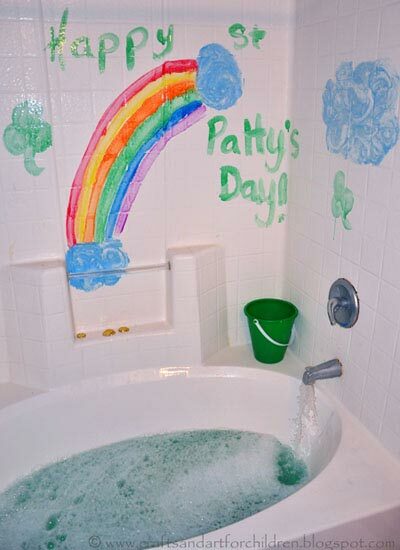 St Patrick’s Day Bath Activity for Kids – Artsy Momma – And what a fun way to end the day, with a St Patrick’s Day bath party! Previous PostPrevious Funny Baby Onesies Make the Perfect Baby Shower Gift for Moms with a Sense of Humor!